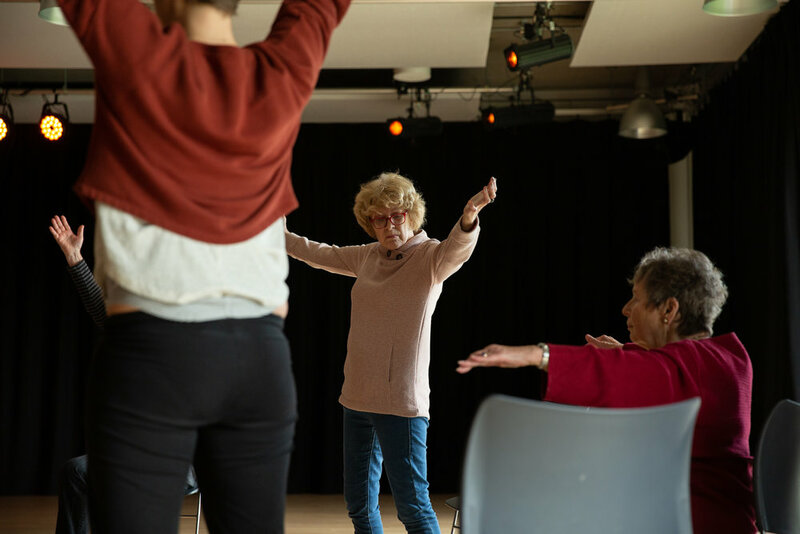 This World Parkinson’s Awareness Day I am thrilled we will be launching our new programme at Poplar Union, a community arts space in East London, and we have launched a Spacehive crowdfunding page for a new project. 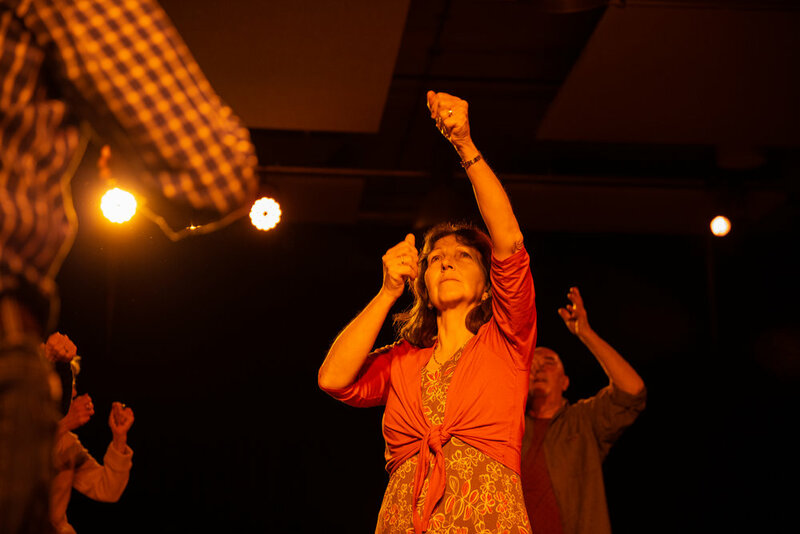 The CID Project (Collective Identity) is a collaborative dance project which provides a regular artistic engagement for people with Parkinson’s on a performative level, bringing visibility to the Parkinson’s dancer. CID will explore the empathic connection brought about through dancing and how dancing as a collective impacts on the individual dancer and his or her identity. This project will explore this idea through choreographic workshops, group dialogue and sharing, as well as through visual documentation and art-making from visual disciplines of film, photography and fine art. This project will be led by Danielle Teale, a leader in this field of practice and research, bringing a wealth of knowledge and a curiosity to drive this work forward. Collaborator Jaka Skapin will work with Danielle to lead the musical direction and experimentation with the dancers. 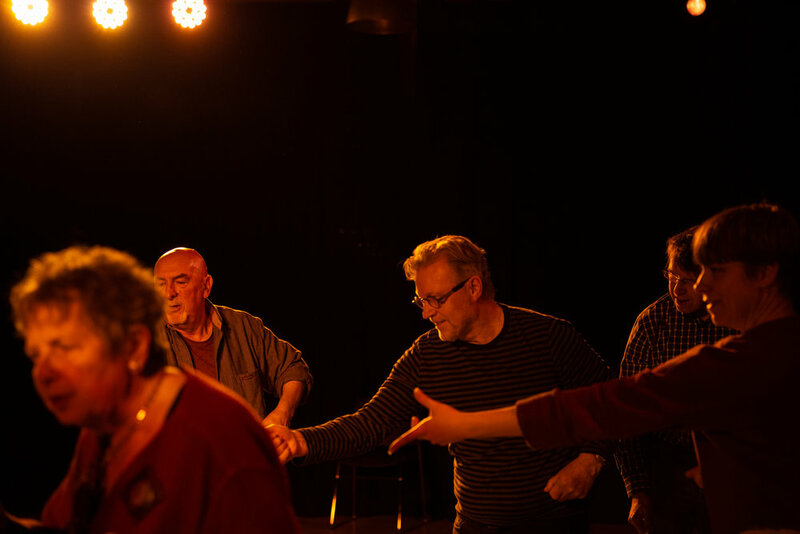 Skain and Teale value a democratic approach, and this project will bring dancers with Parkinson’s, choreographers, musicians and visual artists together in equal dialogue about dancing, identity and collectivity. 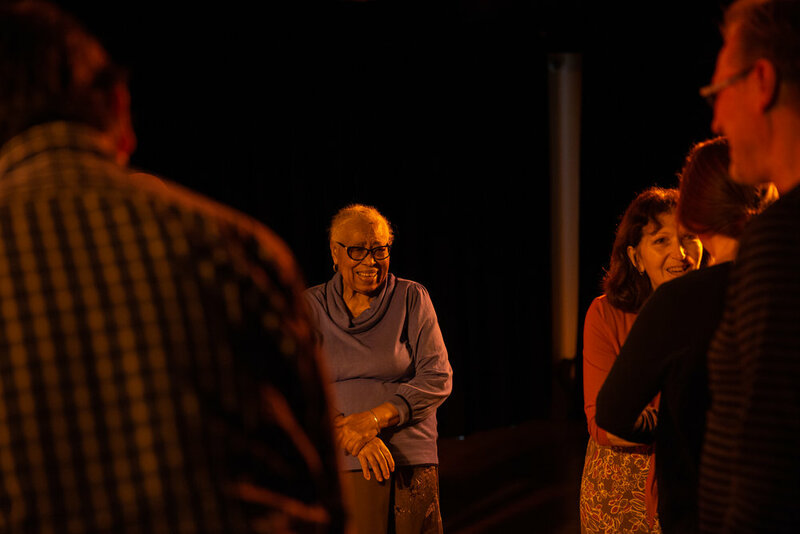 The project begins with weekly dance workshops for people with Parkinson’s, their family members or carers, and dance professionals, musicians and visual artists collectively. Dancers will experience a range of different choreographic approaches from guest artists and a chance to share their thoughts and experiences in a discussion after the workshops. These discussions will feed into a research project led by Danielle Teae which focuses on the theme of collectivity and identity. 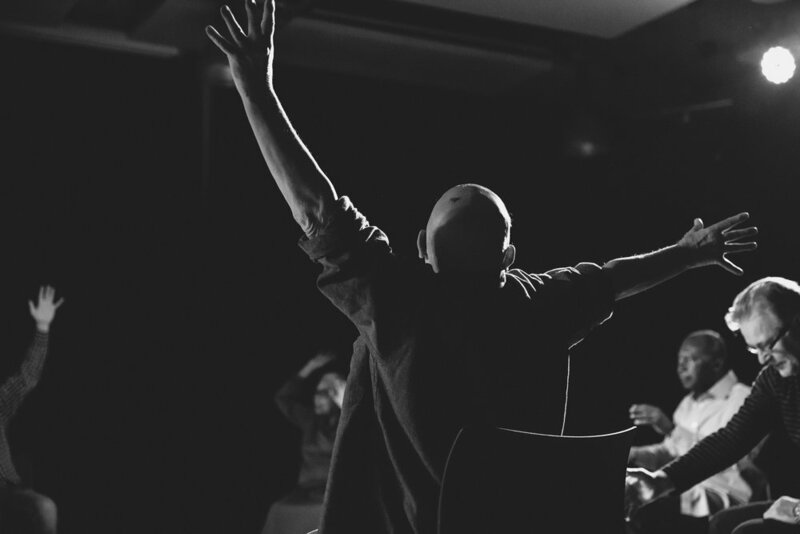 The dancers, choreographers, artists and musicians alike will be invited to contribute to these focus group style discussions and the findings of this short aspect of the project will feed into the wider Dancing with Parkinson’s research. The project will culminate in a sharing event which takes the form of pop-up dance ‘happenings’, live and recorded music sharing, and an exhibition of work for friends, family and the local community to see and hear about the work we have been exploring together. We have launched a Spacehive crowdfunding page for this new project and we need your help to support this work and keep it growing. Please follow the embedded link and donate or share.